Neck Pain, or Cervical Pain is one of the most commonly found ailments these days. Almost every individual suffers from some kind of neck pain at some point during his or her life. The major causes of neck pain can be a wrong posture, over use of the neck or shoulders. 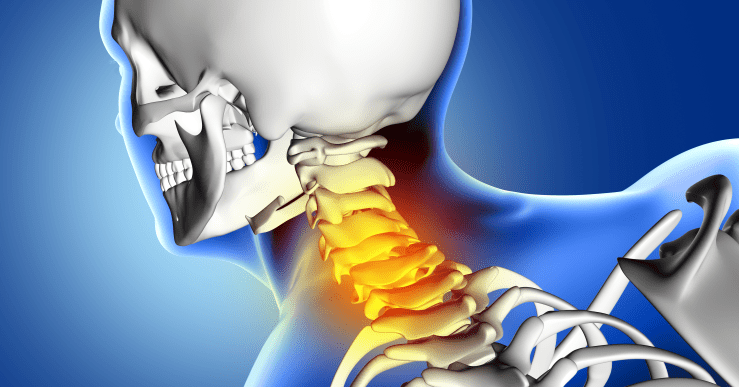 Neck pain may also arise because of an injury or a physical shock or jerk. Neck pain is generally cured automatically after bothering for a few days, im most cases. You can exercise or take a muscle relaxant. However, in case the pain is unbearable and without an apparent or obvious cause, it can also be symptom of some other internal disorder. An expert neurologist must be consulted immediately in that case. There appears a stiffening feeling in a particular portion of the neck due to a cervical condition. The stiffened area may just be a single spot, or a face of the neck. Neurologist should be consulted in case you feel a lump in the area. Cervical Pain is also identified by a growing numbness or weakness in the neck or other body parts. The ‘other’ body parts which may grow numb include shoulders, back, hips, arms and hands. Cervical pain may also be accompanied by mild to severe headaches. If you can’t find any other reason for the headache, and neck pain is also present, it can be an indication that you are suffering from cervical. The pain itself in the neck can be of different natures. A sharp pain is generally present in one particular spot in the neck, and is characterised by a striking or stinging sensation. A radiating pain in the neck, on the other hand, is characterised by traversing pain along a particular nerve that may be extending along one of the arms or the back or the skull. The sensation is generally that of burning or staring. So in case you observe any of the above mentioned symptoms, it is highly likely that you may be suffering from a cervical condition. Wait for the symptoms to disappear, or you can directly consult a neurologist.